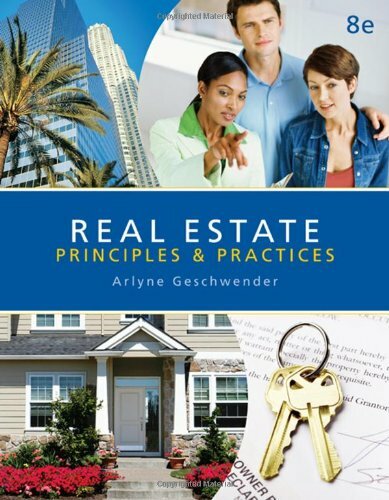 REAL ESTATE PRINCIPLES AND PRACTICES is organized around the natural flow and sequence of events in a real estate transaction. Written in a friendly tone and accessible reading style for new real estate professionals, the author takes a more realistic and practical approach making it the "text of choice." Uniquely organized into three parts, this book first allows you to gain a solid foundation in basic real estate principles to more easily understand the various aspects of real estate practice. The workbook delivers additional reinforcement exercises and practice exam questions for self-paced learning. You will also appreciate using the audio CDs to review key terms and essential concepts for each chapter on the go. If you have any questions about this product by South-Western Educational Pub, contact us by completing and submitting the form below. If you are looking for a specif part number, please include it with your message.